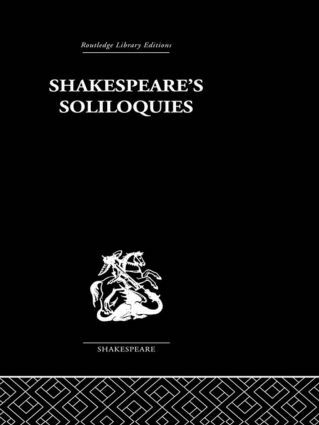 Often the best known and most memorable passages in Shakespeare's plays, the soliloquies, also tend to be the focal points in the drama. Twenty-seven soliloquies are examined in this work, illustrating how the spectator or reader is led to the soliloquy and how the drama is continued afterwards. The detailed structure of each soliloquy is discussed, as well as examining them within the structure of the entire play - thereby extending the interpretation of the work as a whole.